Whew. I love this ink. Well, I loved it. Sadly, Amazon is part of the discontinued line of inks from Caran d’Ache and is no longer available. Bummer. 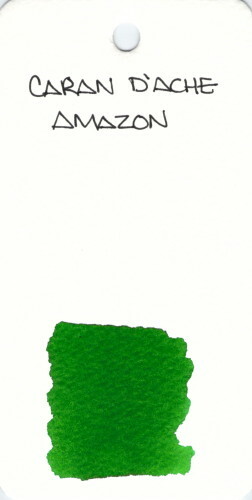 This entry was posted in INKS, LOVE and tagged caran d'ache, green, ink swab by Christine (Pentulant). Bookmark the permalink.